While Ottawa researchers are known for their work on cancer-fighting viruses, one team is applying these viruses to a new target: HIV. 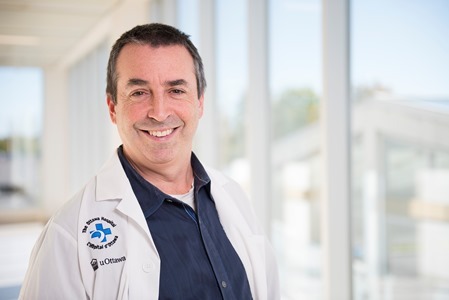 Researchers at The Ottawa Hospital and the University of Ottawa have discovered that the Maraba virus, or MG1, can target and destroy the kind of HIV-infected cells that standard antiretroviral therapies can’t reach. This laboratory discovery was published in the Journal of Infectious Diseases. If this technique works in humans, it might possibly contribute to a cure for HIV. While daily medications keep the level of HIV virus in the blood low, there is currently no way to totally eliminate dormant HIV-infected cells from the body. If a person living with HIV stops taking antiretroviral medications, these hidden viruses rapidly rebound. These latently HIV-infected cells are hard to target because they are not distinguishable from normal cells. Dr. Jonathan Angel and his team tried a new approach of identifying these dormant cells by using the MG1 virus. This virus attacks cancer cells that have defects in their interferon pathway, which makes the cells more vulnerable to viruses. Dr. Angel and his team previously found that latently HIV-infected cells also have defects in this pathway. Using a number of laboratory models of latently HIV-infected cells, the researchers found that the MG1 virus targeted and eliminated the infected cells, and left healthy cells unharmed. While most of these cells in patients are in the lymph nodes and other organs, a tiny number are found in the blood. When the researchers added MG1 to relevant blood cells taken from HIV-positive individuals, the levels of HIV DNA in the sample dropped. This indicated that the HIV-infected cells had been eliminated. The research team’s next step is to try the virus in animal models of HIV or move directly to clinical trials pending funding and approvals. All research at The Ottawa Hospital is supported by generous donors who contribute to hospital priorities, including research to improve patient care and a research chair in gay men’s health. The study was also funded by the Department of Medicine, University of Ottawa, Canadian Institutes of Health Research, Canadian Foundation for AIDS Research. Full reference: “The oncolytic virus, MG1, targets and eliminates latently HIV-1-infected cells: implications for an HIV cure.” Nischal Ranganath, Teslin S. Sandstrom, Stephanie C. Burke Schinkel, Sandra C. Côté, Jonathan B. Angel. Journal of Infectious Disease. December 8, 2017.